Multiple federal agencies were involved in the implementation and operation of the Civilian Conservation Corps camps. The US Army operated and supervised the camps, and depending on the mission of an individual camp the Department of Agriculture, Department of Forestry and the National Park Service supervised the camps’ work assignments. State agencies also cooperated with these federal agencies to complete the work. Initially men between the ages of 18 and 25 were recruited and paid $30 a week with $25 to be sent back home to their families. Later in the program, the age limit was raised and the Department of Veterans Affairs worked to recruit World War I veterans. 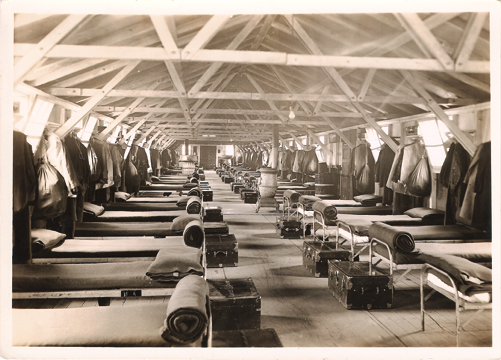 The CCC provided housing, clothing, food, medical and dental care, as well as educational programs to the men. In May of 1935, Company 627, SCS-5, left Savanna, Illinois and set up camp in Charleston, Illinois, establishing Camp Charleston. The letters ‘SCS’ indicate the work assignment for the camp and stands for soil conservation service. These men built roads, ditches, planted trees, and tiled farm fields. The Camp Charleston barracks were located just west of Fourth Street and south of where Eastern Illinois University’s University Apartments stand today. 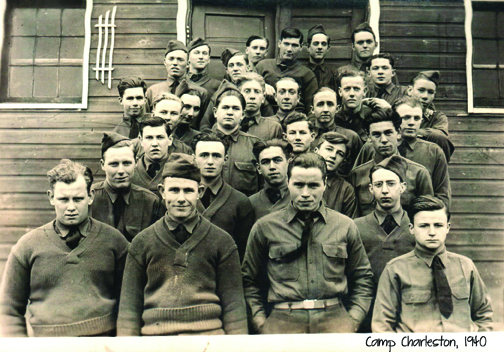 In the summer of 1939, Company 2681, Camp Tuscola moved to Camp Charleston. In August 1935, Company V2657, SP-52, relocated from Oregon, Illinois to the Thomas Lincoln farmstead, eight miles south of Charleston, establishing Camp Shiloh. The ‘V’ stands for veterans indicating that this camp was comprised of World War I veterans, which meant a higher-skilled work force. The SP stands for state parks meaning that this camp’s assignment was to build a state park. In the spring of 1937, after Lincoln Log Cabin State Park opened to the public, Camp Shiloh was dismantled and the men moved to Camp Charleston. The primary focus of Camp Charleston’s work force became the completion of the Moore Home and Fox Ridge State Park.